Are you a chocolate lover? A peanut butter lover? How about a lover of the combination? Millions of Americans stand for the love of the peanut butter-chocolate combo, evidenced by the fact that Reese’s Peanut Butter Cups are the best-selling candy brand in the United States with sales of over $2.6 billion annually (as of 2012). On average, that’s about 18 of these cups per year per American. Given that babies and the elderly might not indulge in such pickings, we’re talking over 20 per year per person. With these statistics in mind, it’s safe to say that Americans. Love. Peanut butter and chocolate. Which brings us to the topic at hand: Chocolate Covered Peanut Day, celebrated on February 25th. This snack food even preceded the Reese’s Peanut Butter Cup by a few years – it was introduced in 1928, whereas Goobers, the oldest brand of chocolate covered peanuts, was already on the market in 1925. 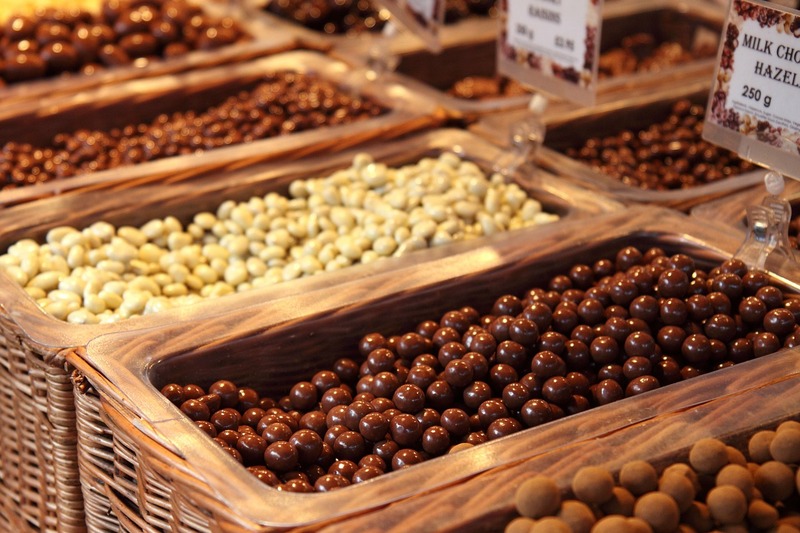 Nowadays, chocolate covered peanuts can be seen not only packaged, but as a bulk item in any grocery store candy section, or specialty candy shop. It’s right next to the chocolate-coated raisins, and just near the rock candy. In comparison to its neighbors on display in the store, with peanuts inside, chocolate covered peanuts are considered a veritable health food. The chocolate part? That’s just, well, the sugar-plus-cocoa coating. Here at Rockaway Care Center, in all honesty, it’s a rarity to see chocolate covered peanuts on the menu, but it has been rumored to be seen at celebration or holiday events. Keep your eyes peeled as a peanut in a Goober – you just might spot them at Rockaway Care Center.